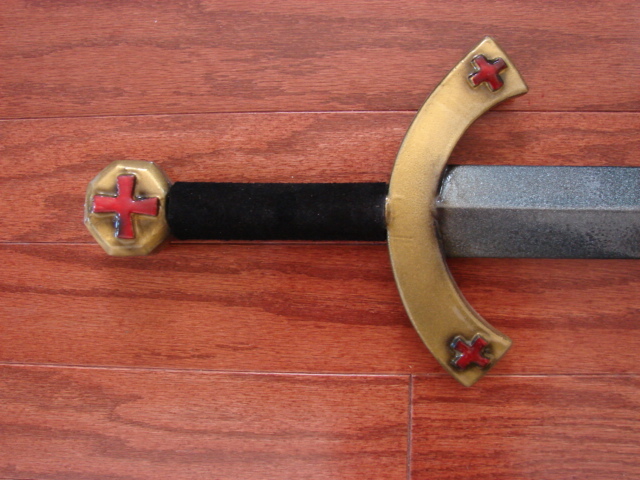 The First Crusader LARP Sword is made from extremely durable foam that does not shred and sealed with a strong coating of latex. Safety is always an issue in LARP, that is why these have a round flexible fiberglass core with strong Kevlar core tip protection. 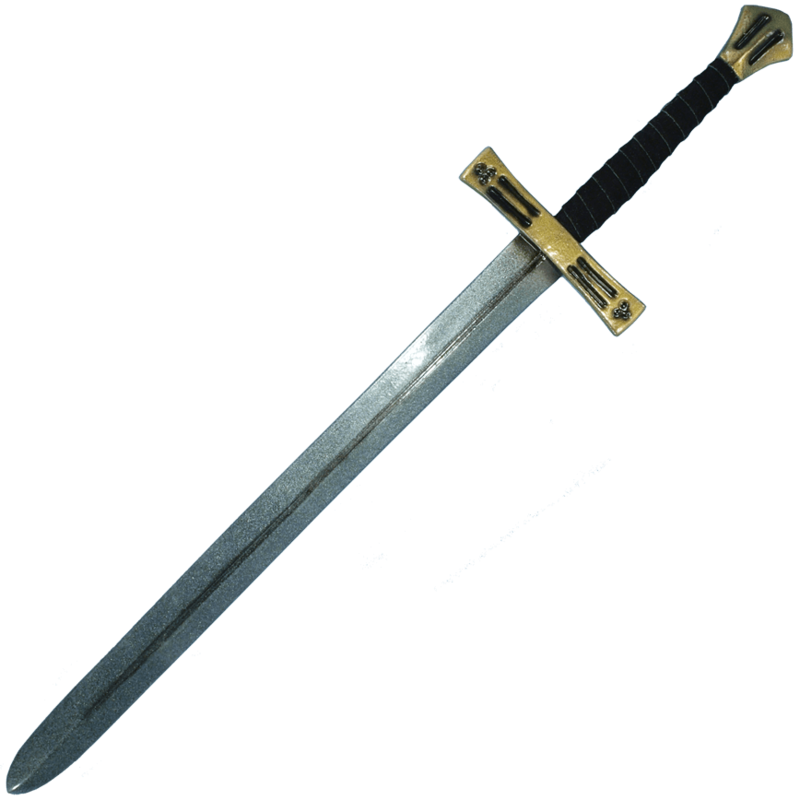 The hilt and pommel comes in Gold, Silver or Bronze. Handle colors will either be black or brown suede. We will send what is available unless you specify. If you would like to see what colors are available, please contact us before ordering. 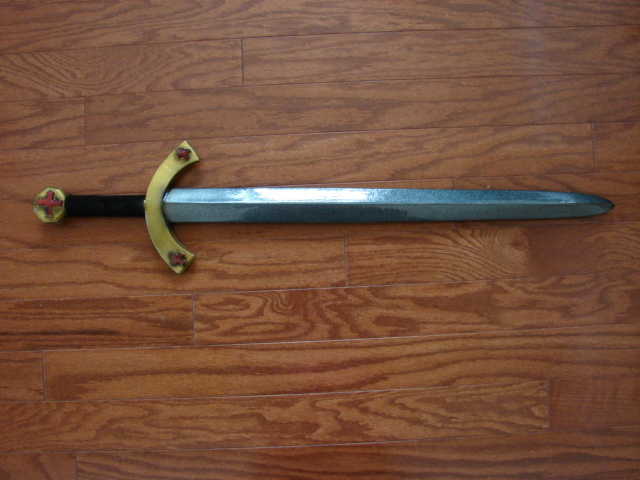 The sword is approximately 43.5 Inches in overall length. This measurement will vary slightly as they are hand made items, more accurate measurements are posted in the specs below. The handle is wrapped in suede for a no slip grip.